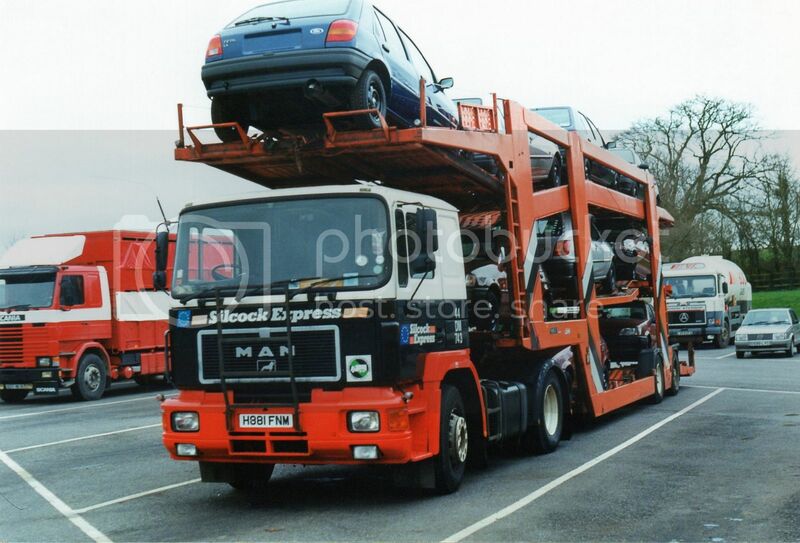 Silcock Express car transporter towed by MAN. I'm intrigued by how low the trailer is. I'm sure in NZ a trailer this low would leave a lot of scars in the tar macadam. 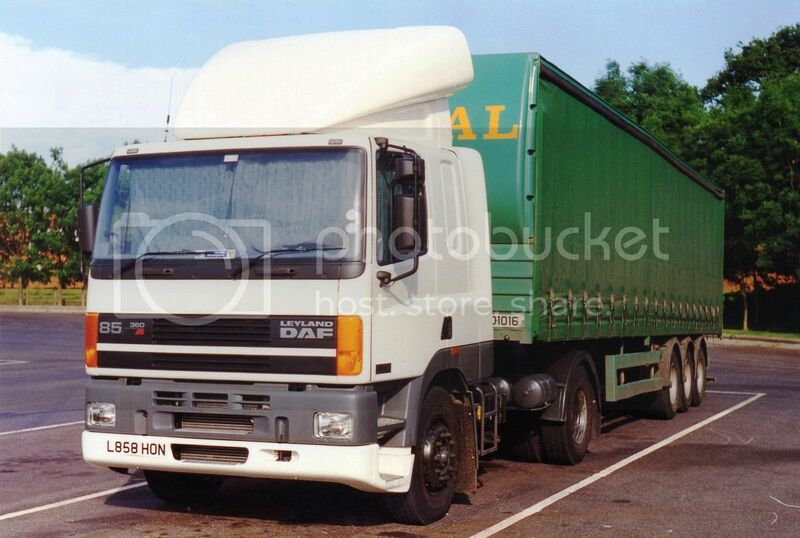 The driver of this Leyland DAF 85 360ATi is still snoring by the look of the drawn curtains. 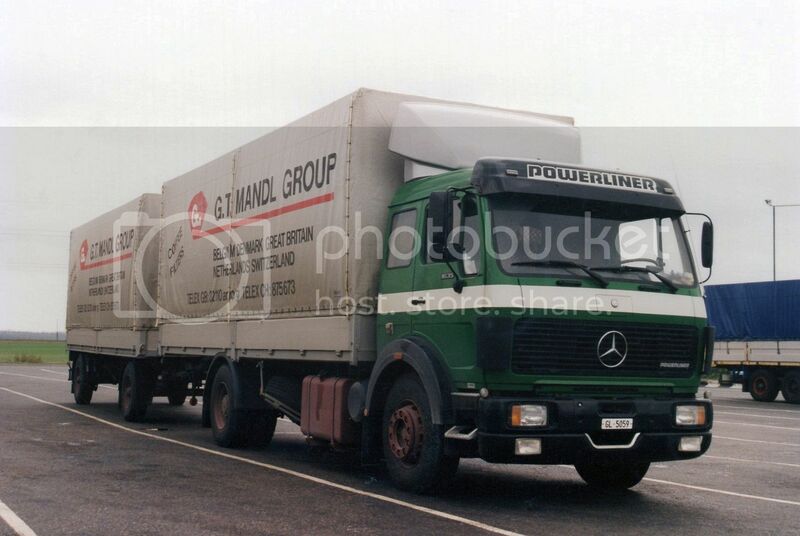 Mercedes Powerliner with 2 axles pulling a 2 axle trailer with single tyres suggests a relatively light load. G.T. Mandl from Denmark specialize in the manufacture and distribution of coffee filters. 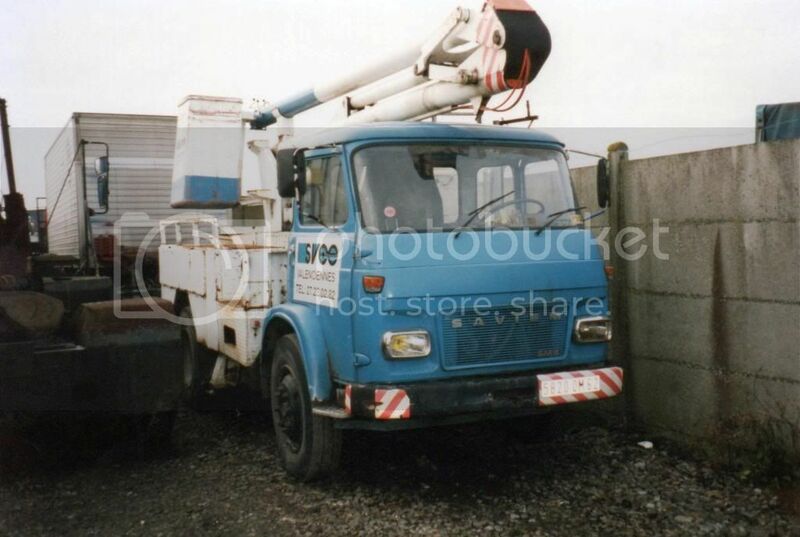 This little Saviem with "cherry-picker" hails fromValenciennes in France. Notation on the back of this photo identifies the snapper as Ch Baron. 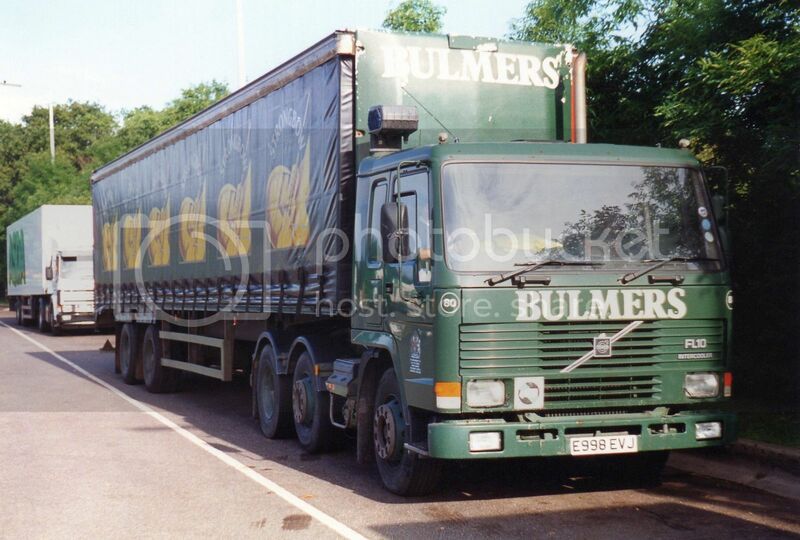 Twin steer FL10 Volvo hauling cider for Bulmers from Ireland. 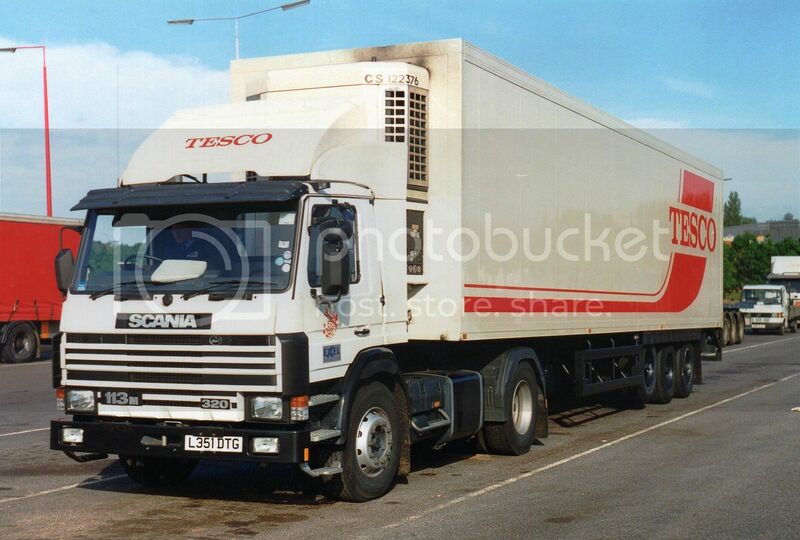 Scania P113m working for the ASDA shopping market chain. 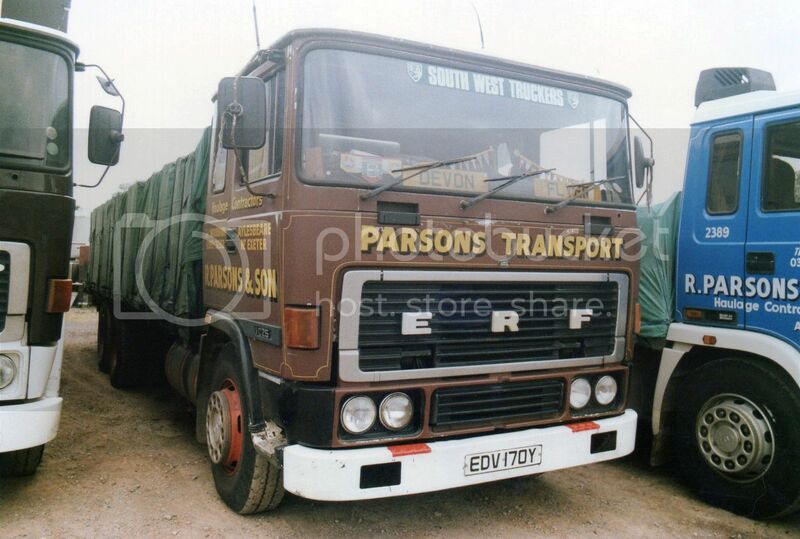 Neatly tarped load on this 6 wheeler C series ERF of R.Parsons & Son from the village of Aylesbeare, Exeter in Devon. 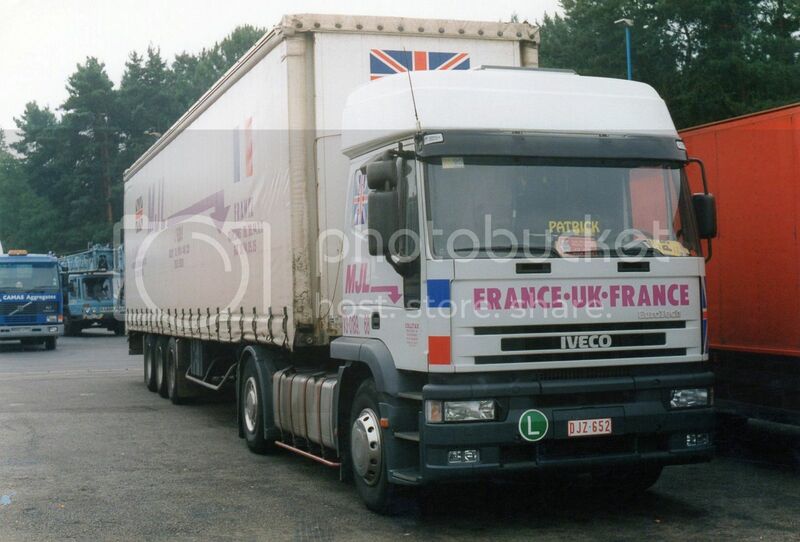 LHD Iveco of MJL from Tourcoing in France. 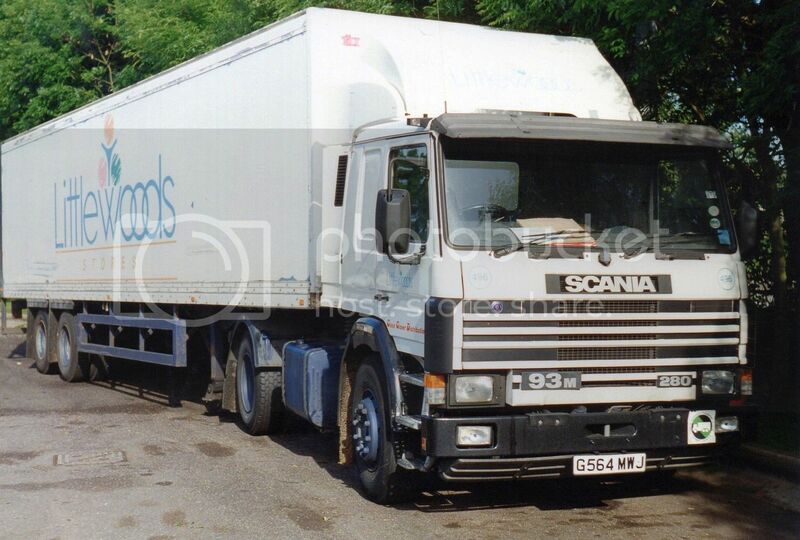 Scania P113m of Excel Logistics hauling for the Tesco supermarket chain. 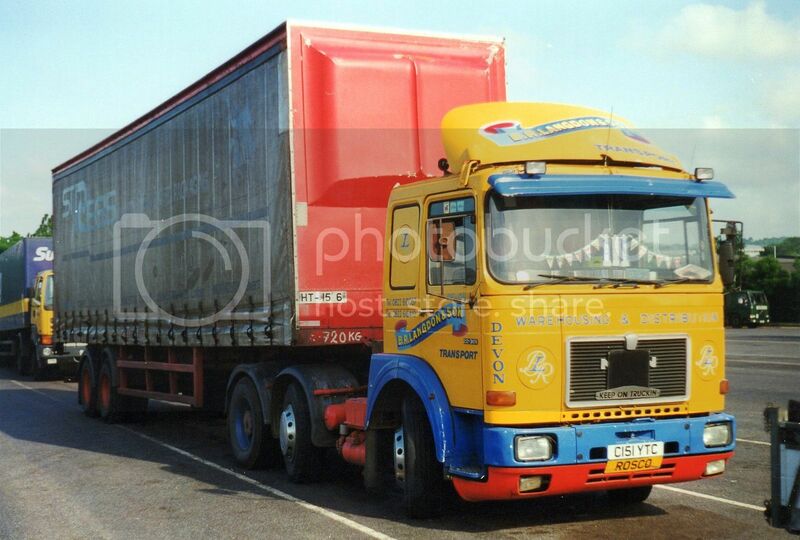 Note the lift axle on the trailer. 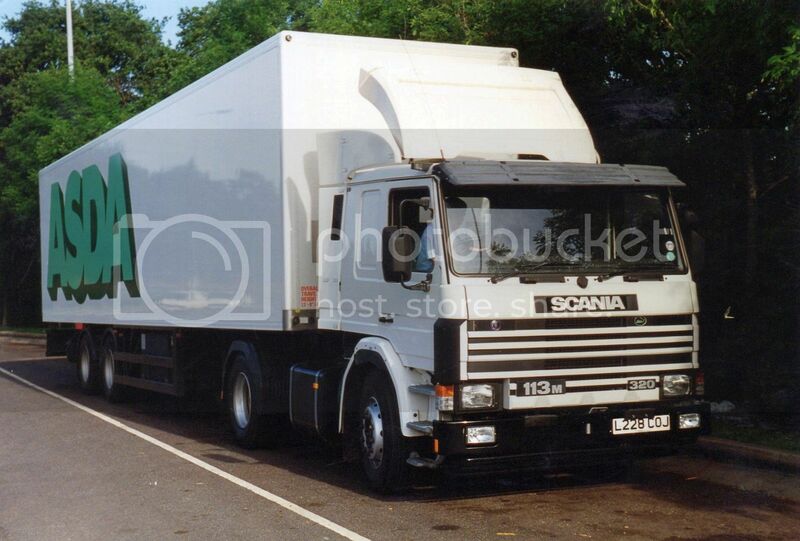 Although some single drive rigids use a lift axle on the non-driven axle in NZ, it is rarely used on trailers. 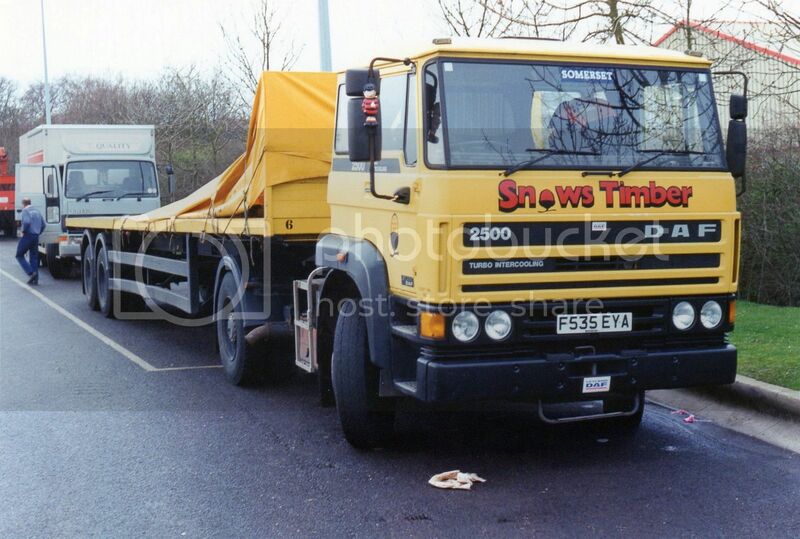 Bright yellow DAF 2500 for Snow's Timber of Glastonbury, Somerset. 280hp Scania P93m of Glass Glover Distribution hauls for the Littlewoods Shopping Group. Brightly decorated MAN 22.361 B.R.Langdon & Son, Devon.